If you aren’t using Facebook, YouTube, MySpace or some of the other so-called social networking sites, you may be missing out on a prime opportunity to market your campus card or other university program. The University of Minnesota uses Facebook, YouTube and sometimes Twitter to keep its students in the know and coming soon will be an ambitious video about the day in the life of a U Card user, said Alison Bloomster, marketing and operations manager, U Card Office, at the university. “This is where your students are, and this is where you need to be,” she said. Bloomster showed attendees at the NACCU conference in March ways to use these sites and did a repeat performance during a NACCU-sponsored Webinar in June. 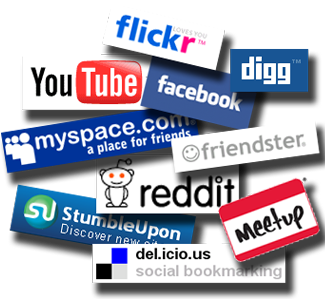 “Social media is a huge evolving topic which you can use to augment your current marketing plan. It’s a great way to get in touch with students as well as faculty,” said Bloomster. More importantly, today’s students, sometimes labeled millennials, or Gen Y, expect this, she said. To develop the best strategy for using social media, universities need to understand what the core users of this technology want, said Bloomster. Play to some of the traits the generation exhibits. They feel they are special because they have been treated with kid gloves and have had high parental involvement in their upbringing. They also are confident, team oriented, believe social rules are good because they provide order, have been pushed by their parents, faculty and peers to work and study hard, and are achievement oriented, she adds. And they’re technology natives. They are part of a generation that has always had access to cell phones and computers. The choices available for marketing are infinite, she said. “You have the Web, email, blogs, instant messaging, picture sharing and VoIP (Voice over Internet Protocol, a system that enables phone calls via the Internet).” None of these choices existed even a few years ago. “I really believe that social media fits best with promotion. It gives you another way to be visible on campus,” said Bloomster. “What makes social media different is that it’s interactive. You don’t have to know html to post pictures anymore. It’s a way for people and for you to connect to your customers, your cardholders. When you’re moving into the realm of interactivity, you’re creating channels of social media, where you and other users are connecting with each other,” she explained. Still Bloomster views social sites as simply an extension of a university’s overall marketing and promotion program. The university also started using Twitter, sending out, in Twitter parlance, “tweets,” little messages your Internet-capable phone can capture or you view on your computer. This works really well during peak enrollment periods or recarding. “You could check to see, hey there’s an hour wait right now,” said Bloomster. A tweet is limited to 140 characters and it’s not used “so much by students, but it is by staff and faculty,” she added. The media, at least for now, is free and paperless, which also makes it environmentally friendly. “Think about all that we know about the millennial generation, all the workshops we’ve been to and apply that to using social media,” she said. Remember that interaction is key. “Information should be interesting and useful. Play into the tastes of your audience, the millennial generation and their parents,” she said. 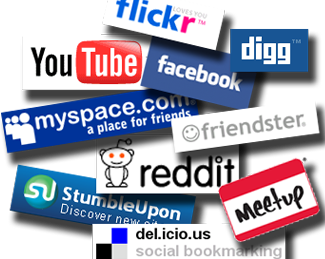 Promote your social media, whether it’s your Facebook page or Web site, via email. “Millennials are content providers and will want to post their comments on your site, such as their experiences with the campus card,” said Bloomster. To millennials social media is a lifestyle. “It’s really important you recognize that,” she added.